Winter is coming….and so is the dreaded cold and flu season! My two little ones have been battling with a cold, so lots of sleepless nights. They tend to be quite congested and have a chesty cough. I have to keep reminding them to blow their nose but they prefer to sniff it in which makes them even more congested. I normally reach for my essential oils and get my DIY on. My favourite oils to relieve congestion are eucalyptus, peppermint and lavender (blended with a carrier oil). My kids love a good massage (hey who doesn’t) and most nights I get “mummy please rub some oil on me to help me sleep well”. It was half price so I decided to give it a go. Our Easy Breathe Baby Balm has been specially developed to settle baby when congested. Formulated with eucalyptus and lavender oil, it provides natural relief to babies. Eucalyptus has cooling, soothing vapours to help maintain healthy respiration while lavender relaxes and settles your baby when poorly. 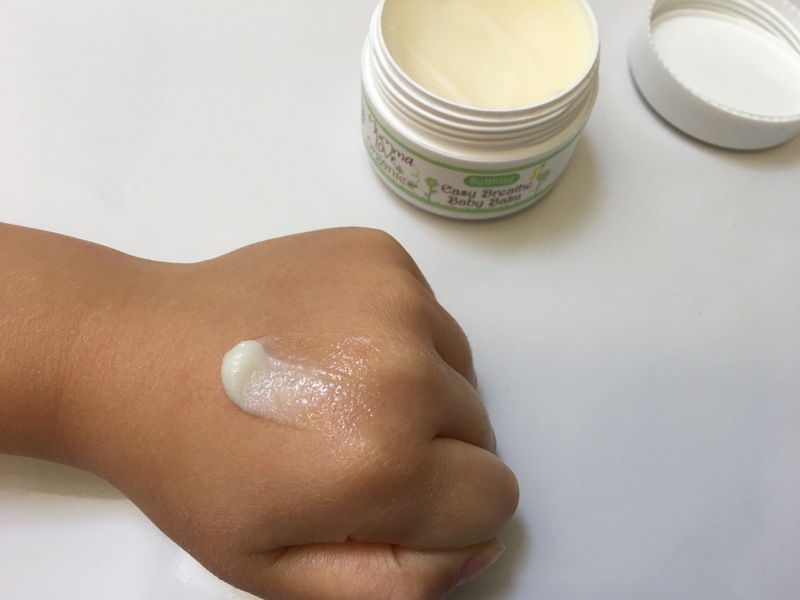 Our Easy Breathe Baby Balm will lubricate dry mucous membranes to ensure healthy airways and clear your little one’s head, leaving them comfortable enough to settle down for the night. I really like the consistency of this balm. Once I warm it in the palms of my hands I massage it onto their upper chest, back and and also on their feet. It absorbs well into the skin and doesn’t leave a greasy residue. The soothing vapours really help to relieve their congestion, leaving them more settled and they sleep better now. This is a great product and I’m going to stock up on some more while it’s on offer! I hope you found this review helpful. What is your go to remedy for cold and flu?